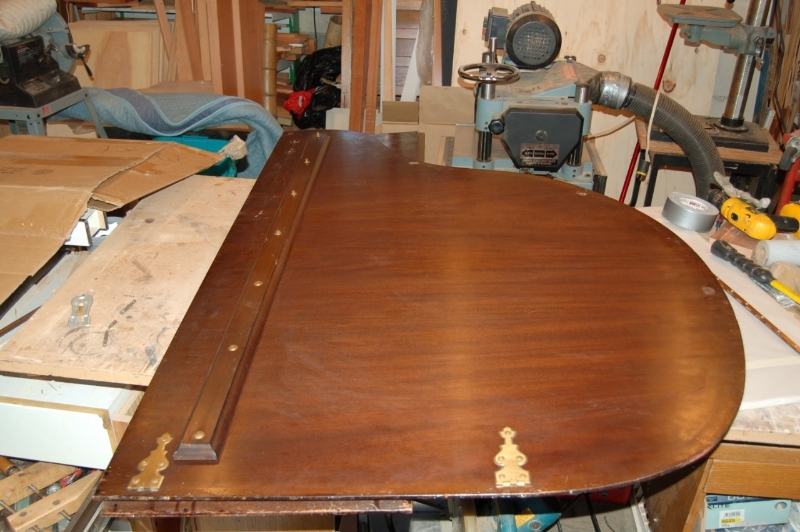 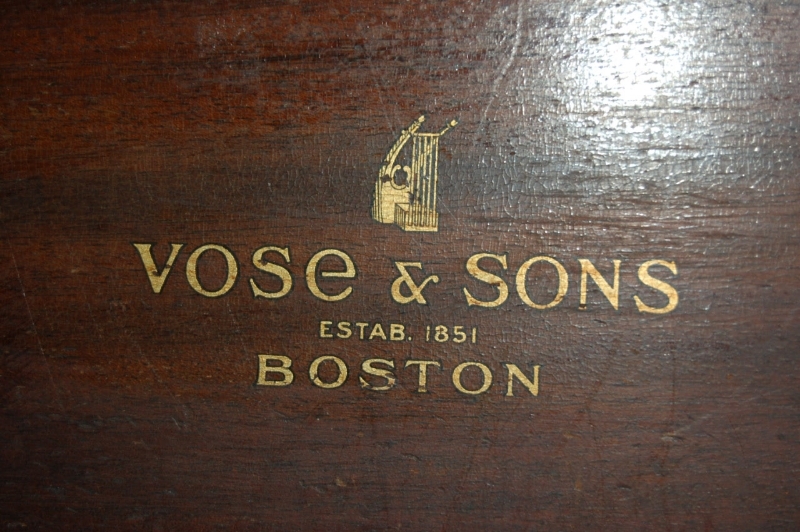 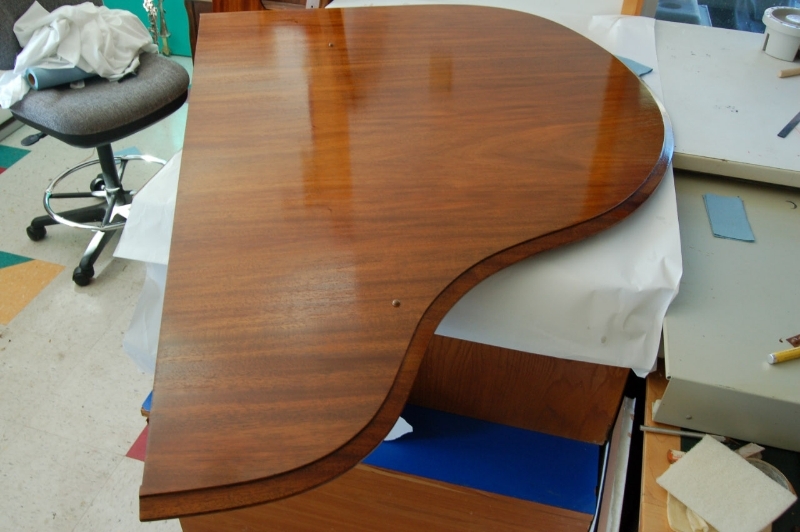 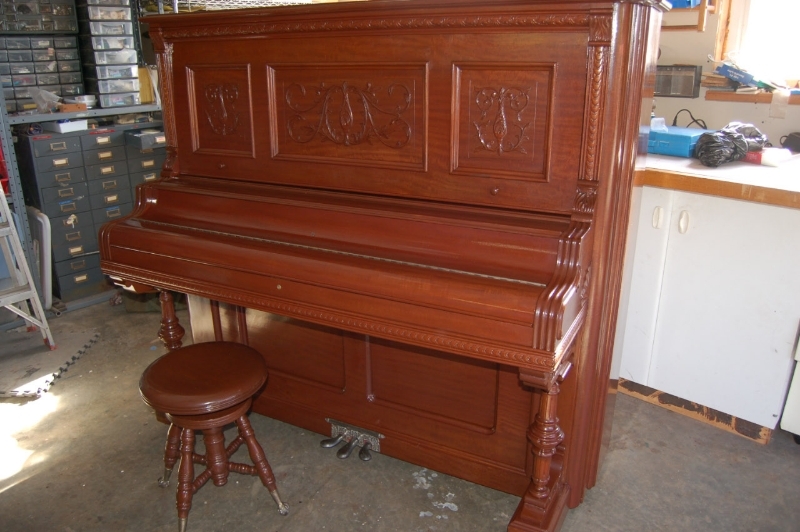 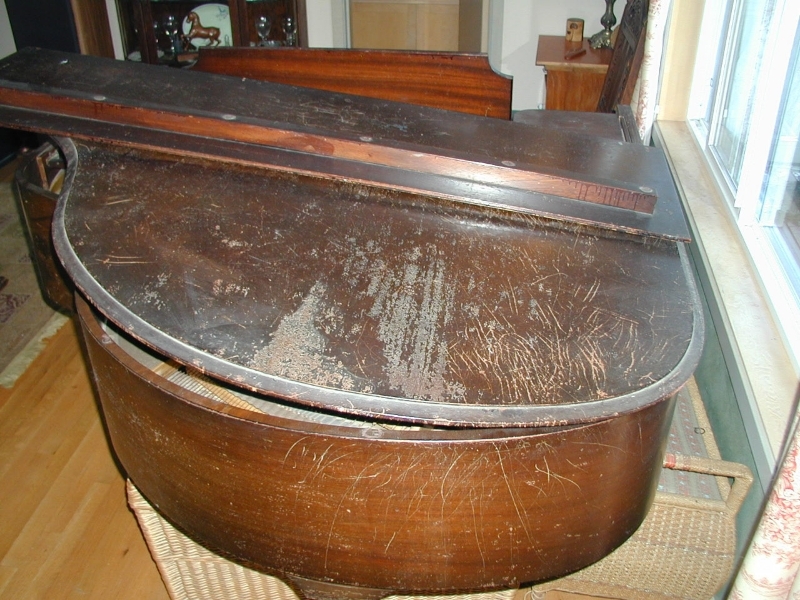 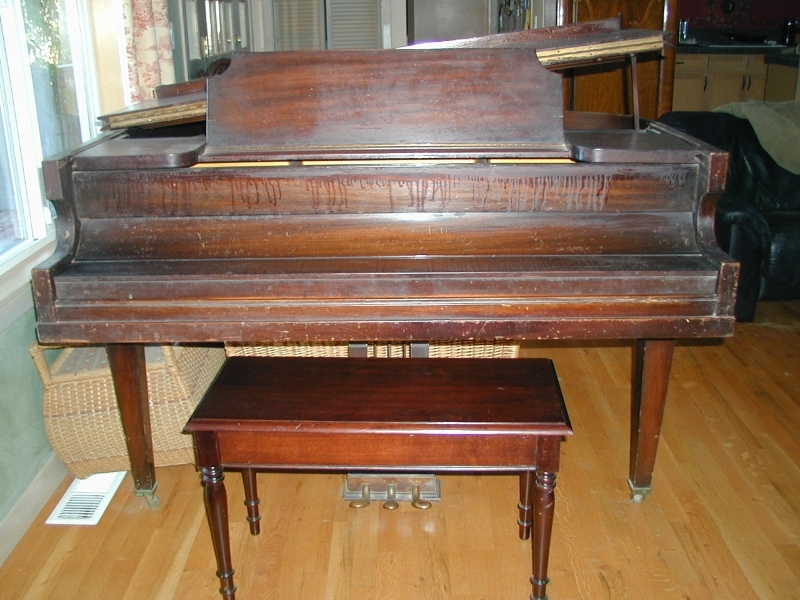 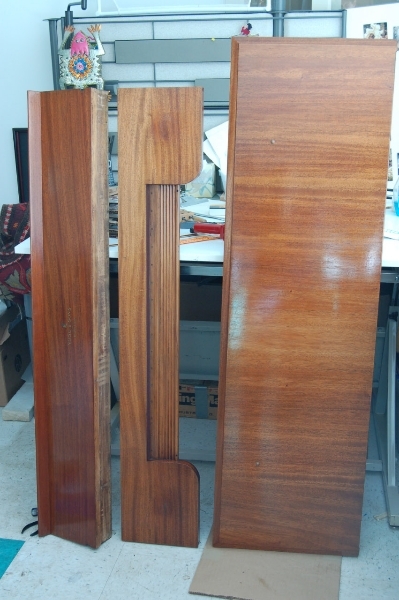 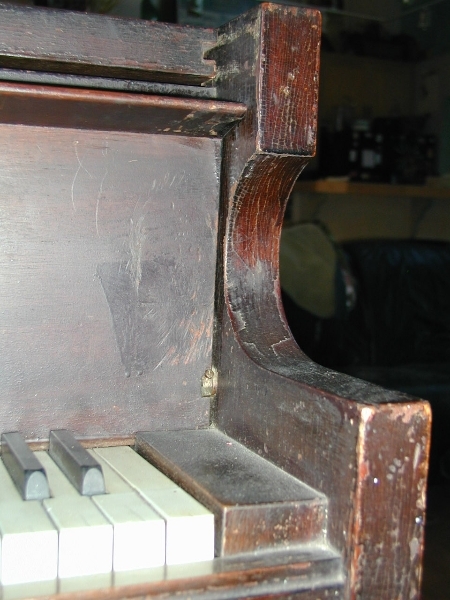 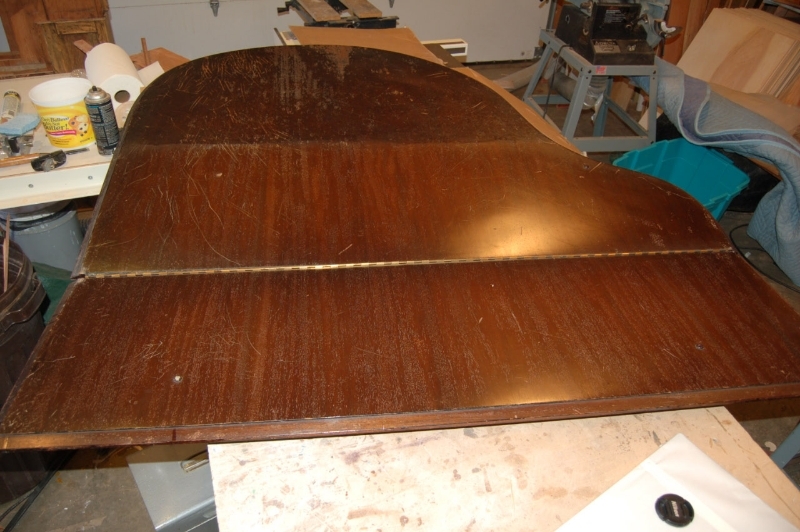 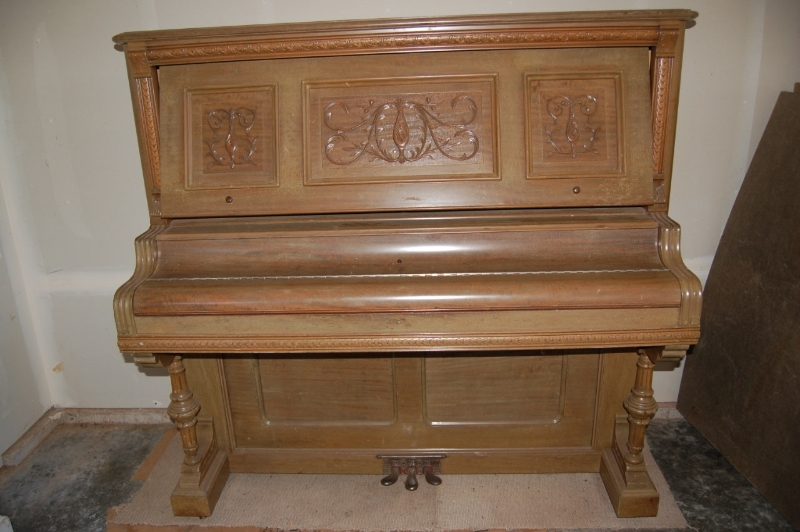 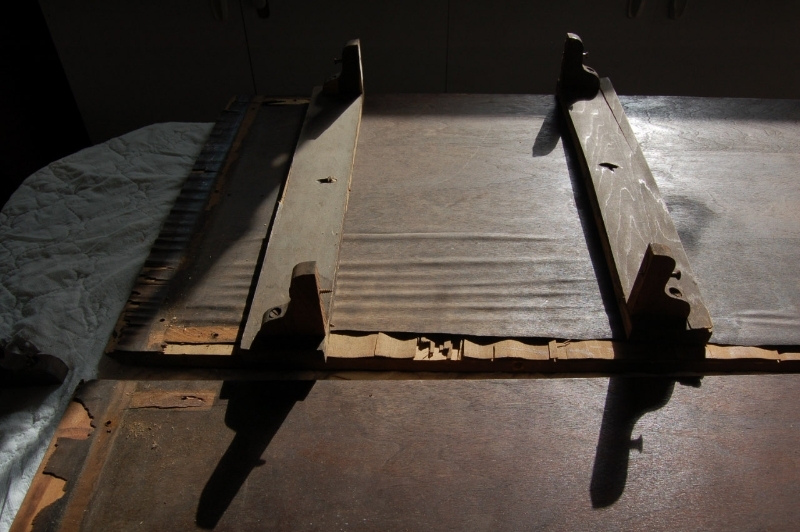 Restoration on the main body of a piano is approached in much the same manner as a large cabinet would be. 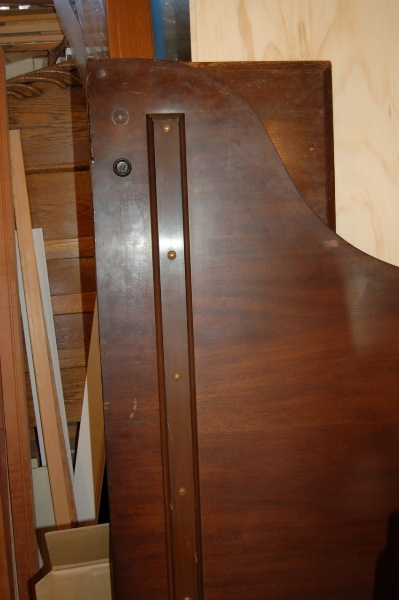 All removable parts of the piano are unscrewed and individually addressed. 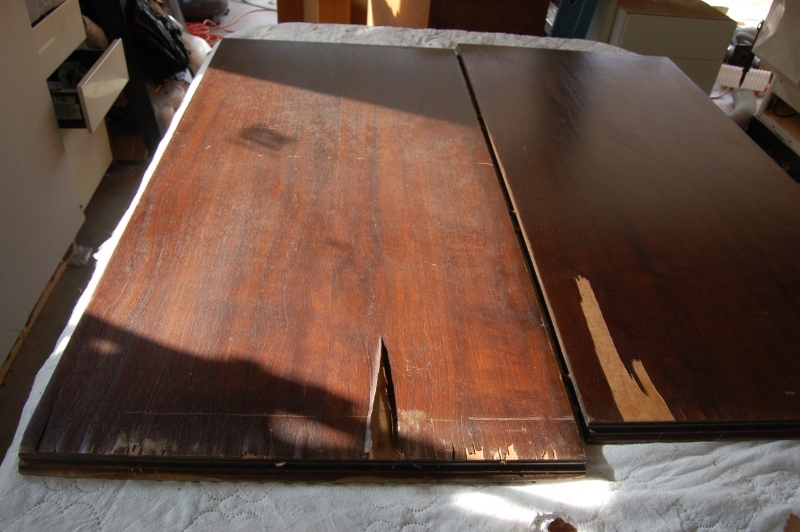 All wood surfaces are cleaned and any damage to them repaired. 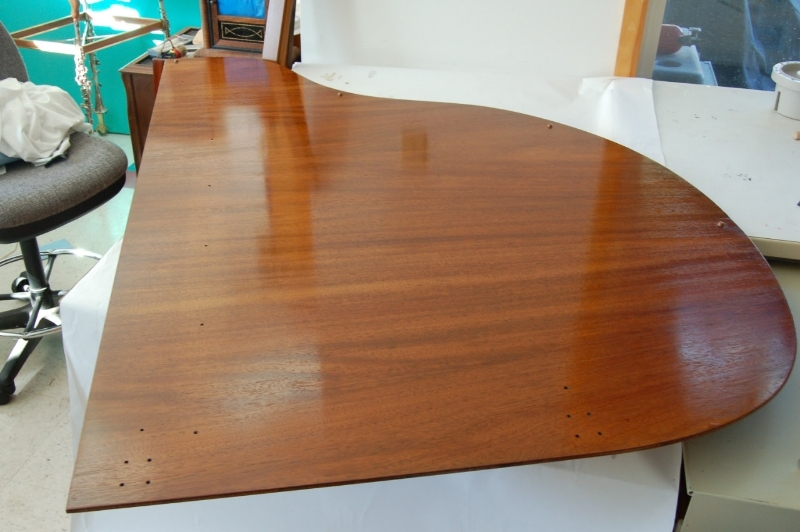 Next the stain is matched and touched up where needed. 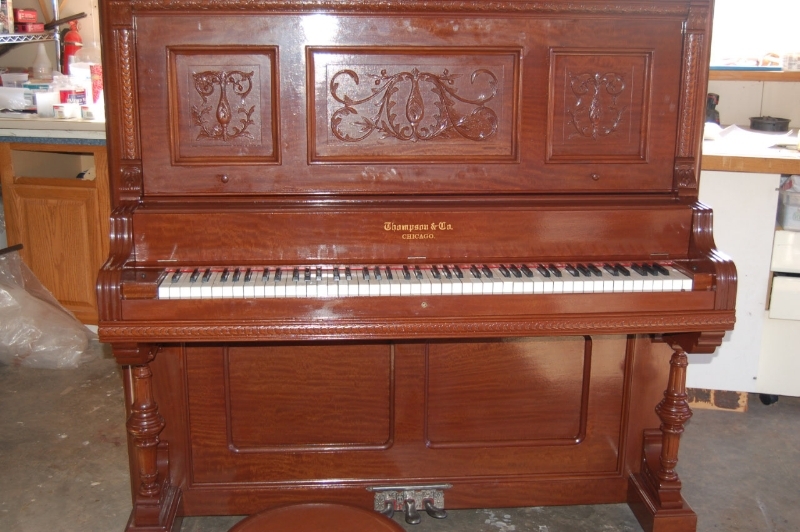 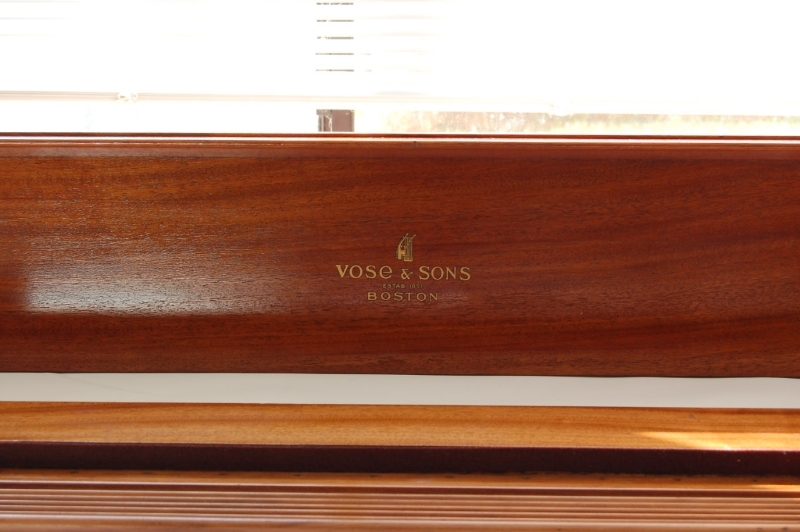 The wood finish is then restored to its original luster The internal components of a piano require delicate work in the precise refitting and aligning of the hammers. 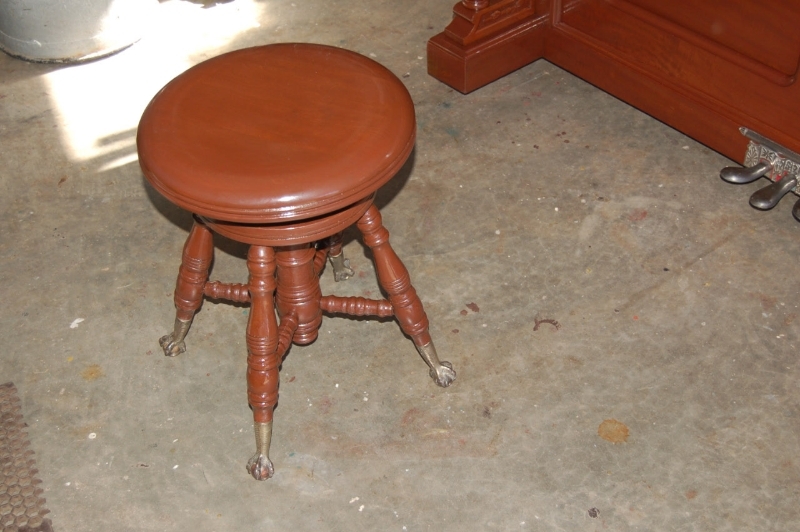 Broken or damaged hammers are rebuilt and worn felts replaced to restore strong action. 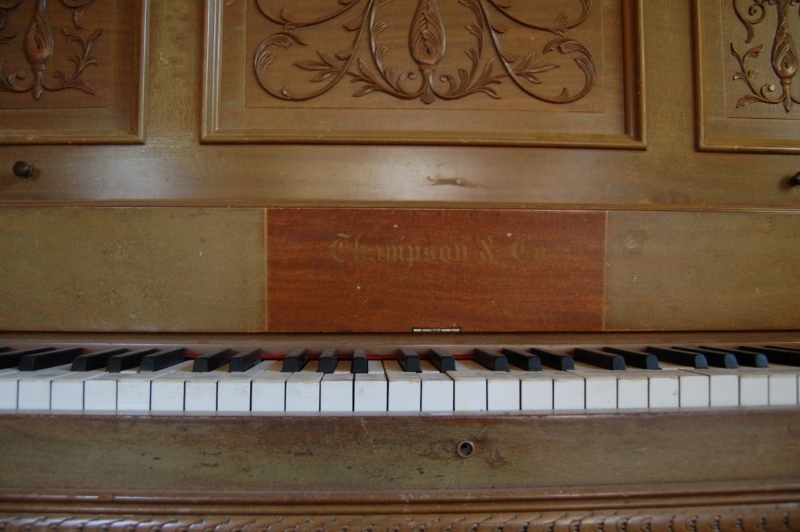 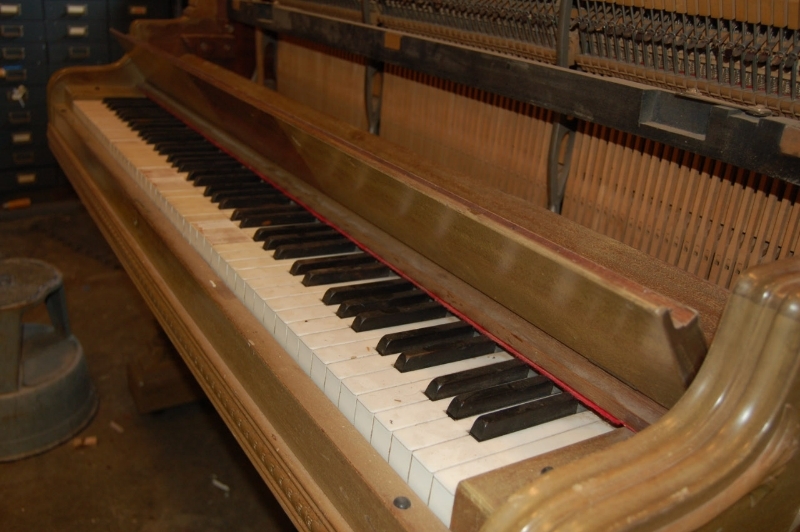 Damaged ivory keys are removed, the wood beneath cleaned and surfaced before reclaimed ivory pieces matched for color and fit are glued as replacements. 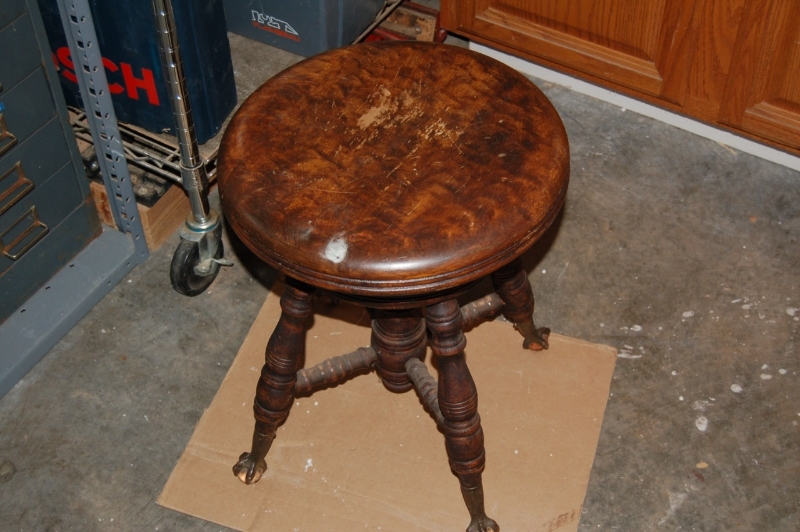 Finally the wood finish is restored to its original luster. 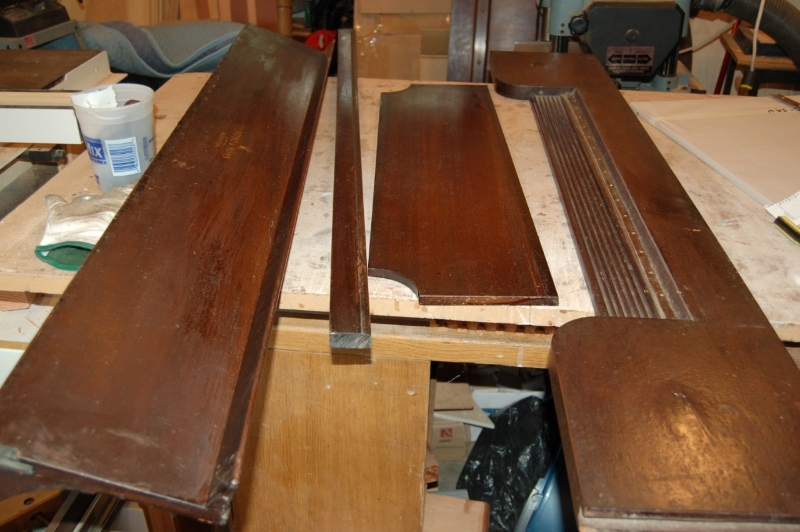 All felts used for cushioning and vibration reduction are removed and new felt is glued on. 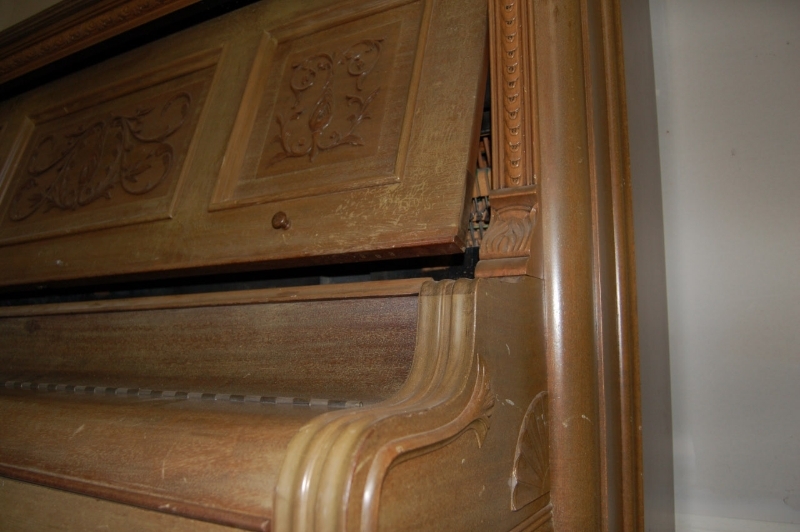 Brass pedals and hinges are cleaned and polished and rubber bumpers replaced. 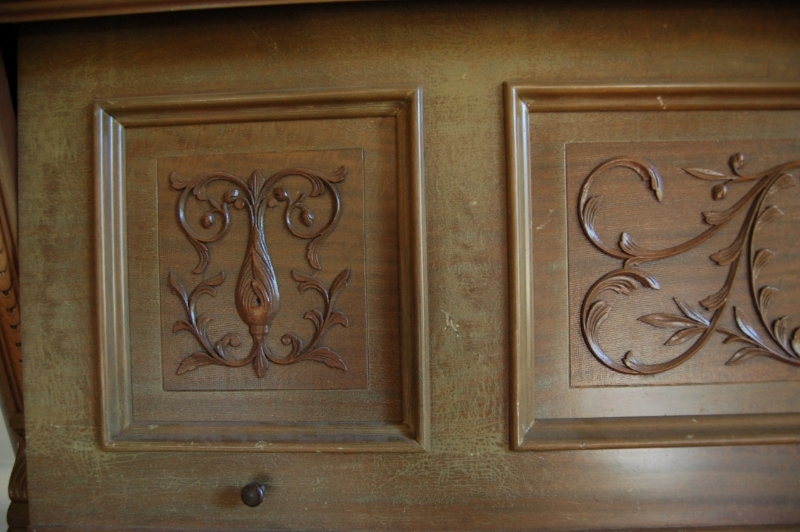 Gilt reproduction stencils of the model and manufacturers name are reapplied where necessary.